Welcome to a German train-station! We’re at a „Bahnhof“ today, talking about different words you might need there. First of all, you need to check the „Fahrplan“, that’s the schedule of the trains. Fahrplan. On this „Fahrplan“, there are two categories: Trains arriving and trains leaving the station. The arrival is called „Ankunft“, the departure is called „Abfahrt“. Ankunft and Abfahrt. On this schedule you look for the train you want to take. You check the time it is leaving – the „Abfahrtszeit“. Zeit is the time, Abfahrt the departure. So the time of departure. Abfahrts-Zeit. The next information you need is the right track, so you can find your train. The track is called „Gleis“. So maybe your train to Berlin is „auf Gleis 4“. On track 4. Auf Gleis 4. Or you go to a ticket booth and say: I need a ticket to Berlin, please. „Ich brauche bitte eine Fahrkarte nach Berlin.“ The person then will maybe ask: „Einfache Fahrt oder hin und zurück?“, meaning do you need a single ticket or a return ticket? So you say: „Einfache Fahrt, bitte.“ or „Hin und zurück, bitte“. Maybe they also ask if you want to travel first class or second. „Erste Klasse oder zweite?“ Most of the time you answer „Zweite Klasse, bitte“, but sometimes first class is cheaper than second! Don’t ask me why… The next question is: „Soll ich einen Sitzplatz für Sie reservieren?“ The „Sitzplatz“ is simply the seat. You can make a reservation for a certain seat on the train. This costs extra, but it guarantees you have a seat – when it’s crowded you sometimes will need to stand the whole way. You can decide if you want a seat on the aisle or at the window – it’s a „Fensterplatz“ near the window, „am Gang“ near the aisle. You can also choose between „im Großraumwagen“ or „im Abteil“ on certain trains. The „Großraumwagen“ is just one long carriage with seats, like a bus. Other areas of the train are compartmentalized, „Abteile“. If you have your ticket, your „Fahrkarte“, you run to catch your train. At least that’s what I always have to do. You look for the right carriage number, the „Wagennummer“, and jump in. When the train has departed, the „Schaffner“ will come and will want to see your ticket. Sometimes the train is delayed, it has „Verspätung“. Relax – there’s nothing you can do about it. Have a safe trip! Gute Fahrt!? At the end of each episode there’s „Premium“ and „Free“-Tabs. Under Free there’s the link for downloading the episode. Right-click on it and „save as“. done. How can I download the audio file? Most of the time first class is more expensive than second. But sometimes there are specials you can use – those make first class cheaper than second. Checking both ways ensures you have the cheapest price. why first class is cheaper than second in Deutschland ? 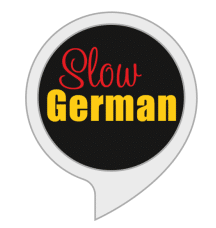 I really like your german beginner podcast as the topic is helpful and interesting! Hope there is more update of the podcast and I look forward to hear from you soon!